happyholidays2010 from Paddling Otaku on Vimeo. For several people doing the Alaska trip with me, one of the biggest hurdles is the fact that either they don't currently own a kayak, or they own several kayaks that aren't suitable for this kind of trip. This is one of the bigger challenges. It is hard enough to buy a kayak, but add to that fact, that they are going to be sitting in it for nearly a month straight. It not only has to fit well, but the kayak needs to hold a lot of gear. Making a difficult decision more difficult is that all three of the people who need kayaks for this trip are small women. Well last night, for one of our team mates a kayak arrived, it is now resting peacefully with the other kayaks in my yard. It is an interim kayak. A kayak for her to use to get some serious time in the cockpit while waiting for her actual trip boat to arrive. And if a trip boat shouldn't arrive, it will be a fairly suitable stand in. Many things are still going on here, but serious planning must start once January rolls around. A tentative departure date has been set for June 23rd. Ferry schedules must be consulted, a route has to be finalized. Much to do between now and June 23rd. With the skills camp ending a few days ago, I have had some time to go over the event in some detail. I must say I am very happy with how well it went. We had some last minute cancellations, so the group was smaller than I had hoped. But the participants were literal sponges for expedition information. 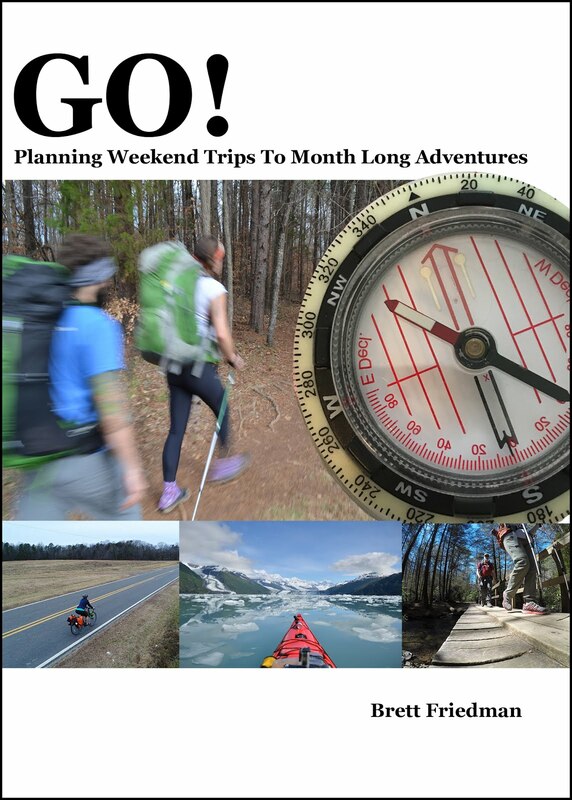 With topics including meal planning, float plans, basic navigation, loading kayaks, making camp, where to store boats, how to dress for the water, etc. The culmination of the event was a long paddle day. In my opinion the best skill for an expedition paddler to have is the ability to spend a long day in a cockpit. It is the only way to get the kind of productive mileage you need to maintain to accomplish a long distance paddling goal. We hit the water on Saturday morning right on time around 9:30 am. We spent 40 minutes looking for a water source - something not uncommon on an expedition - and then started paddling. We took a break an hour and a half later, earlier than I would have liked, but didn't stop again for another two hours. In all we paddled just shy of 17 miles, in just around 6 hours. I was very proud of how well people did in terms of keeping comfortable, and keeping focused. I shot a little video, but probably wont post anything. I hope we get to do the 2011 expedition skills camp in the spring. This time some place with tides! It seems like I have only been home for a few days, and yet I am packed and ready to go back out. This seems to be my theme for next year, as I already have many trips planned for 2011. This past week I was in Lander Wyoming, completing the training to teach Wilderness First Aid for The Wilderness Medicine Institute of NOLS. I have been associated with NOLS professionally since 2006, and since 2000 as an Alumni, but I have never had a training experience as difficult as this WMI instructor course. They have exceptionally high standards, and I wasn't sure I was going to make the cut until about the last 24 hours - folks at WMI, I am honored to have been selected! Next year I will be teaching 6 wilderness first aid courses by June for WMI, and I am really looking forward to it. In July I will be paddling in Alaska for a month. And tomorrow I leave for the three day paddling otaku expedition skills camp. All I can say is I have a very understanding wife, and a very sad dog. Fortunately I can pack for a three day trip pretty easily. Very little of my gear set actually changes. And though I always forget something, it is usually something pretty minor. Lets hope. But it is very cool. I initially thought it was using a GoPro which got my interest. I was wrong but this is still a very cool thing. Home made spaceflight is now possible, along with video of -almost- the entire process and GPS tracking for retrieval. I think this is important because there is less and less interest in science in the United States. We are falling woefully behind other countries in science and math, and that is going to hurt us in the not too distant future. We all need to be doing everything we can to get our children interested, and active in the sciences. Navigation, Packing a kayak, Tent site selection and kayak placement in relation to tent placement. Float plans, On water leadership, meal planning, clothing for paddling and camp, Tides, weather, and safety. It will be three full days both on the water and on land. A big part of what we are going to be working on is getting people, and their bodies, comfortable with the concept of long days on the water and in a kayak. This is probably one of the biggest challenges. But when you have 350 miles to paddle, and a limited amount of time to do it five or six mile days don't work. You need to be in the mindset of fifteen to sixteen mile days with the occasional 25 mile day thrown in for good measure. The only way to do that is to find what makes you comfortable in your kayak, and getting in the right mindset to do that. For me a long day in the cockpit is a meditation. Usually groups will determine that every two hours or so, people want to do shore breaks, stretch their legs, and go to the bathroom. I generally don't get out of my kayak on long days. When people are going ashore, going to the bathroom, eating some snack food, I am sitting in my kayak resting, eating and re hydrating. Once I get set, and I am in the right mind set I don't want to mess with it. My body just tends to feel like it just wants to keep going. For me, that is the key to expedition kayaking. Getting in the zone where all that needs to happen is around fifty thousand forward strokes. That is a wonderful place to be. No, this isn't a post about the weather. This morning I am heading to Lander, Wyoming to take the WFA ITC. If your not into Acronyms that would be Wilderness First Aid Instructor Training Course with WMI of NOLS - Yikes more acronyms! Things are moving well towards next summers trip. The team has stabilized in terms of numbers, some are starting to spec new kayaks, and gear. As a group we are pretty excited. A few things need to occur for next summer to work. One of those is that I need to buy a new car. This has been pushed to the forefront because I got a new - or actually additional - job that will require my little home to go from a one car household, to a two car household. I have no qualms about paddling 350 miles in frigid Alaskan waters, but buying a car is daunting. The reason that a car is need for Alaska is this. My team lives on the east coast of the United States. There will be - probably - five Seventeen foot kayaks going on the trip. They need to get to Alaska, and that is probably the biggest logistical challenge. I looked into shipping kayaks, but that would cost almost as much as buying new ones, and then there is the fear of damage en route. I looked into renting kayaks, and again, the cost would be around $1400 us. Plus, you don't know what you will have to paddle in, and I would rather this group get some time in the boats they will be paddling for the month. A friend has an uncle who ships exotic sports cars from where I live to Seattle, Washington. He offered a ride for our boats. But then I would need to get the kayaks from Seattle to Bellingham Washington for the ferry to Skagway or Ketchikan Alaska. The ferry alone is over $600 per person. one way. And we would still need to get to the boats to Bellingham, and us to Seattle. The fuel to drive all the way to Skagway will cost around $500, and while it will take more time it will give us control over the boats, so currently that is the plan. two cars, five kayaks, a whole mess of food, and gear. and two or three drivers. I am honestly more worried about getting to the water than I am about anything that might occur on the water. But this isn't my first expedition, and I know that the things that you worry about are never the things that cause problems. It's the things you never think of, that create roadblocks. Only time will tell. I first saw this video linked online, it is helmet cam footage of a very bad day paddling. the experience, though not the video, ends with a helicopter rescue. Though this is whitewater I think it has some valuable lessons for us. The kayakers paddle broke when trying to roll - which in and of itself is both incredible and unbelievably bad luck - but there were several mistakes made by this paddler that I think we can learn from. I don't mean to embarrass this paddler, I got his permission to post the video, as he agreed there were lessons to be learned. I think that the most valuable lesson here is this. Rarely do people die when they make a mistake. Most climbing deaths on Mt. Everest don't involve someone rappelling off the end of their rope. But what happens is this. You make a mistake and an hour, or a day, or a week later, that mistake has been compounded and amplified - usually by other mistakes - to a point where you suddenly realize that you made a life threatening error and now have to claw yourself out of the hole you have inadvertently dug. All to often I hear this phrase, 'Of course it's safe, we have always done it this way, and no has ever gotten hurt!' But having done something over and over again and not having a problem doesn't make it safe, it means you didn't get caught. So what is the one thing this paddler didn't do, that would have made this day paddle an inconvenience instead of almost the end of his life? You may think his luck turned bad when the paddle broke, but in fact his fate was -almost- sealed several hours before the video starts. Thanks to ScottyB for letting me post this. The Swim from ScottyB on Vimeo. It's that time of year when the weather starts to change and the water gets colder. It is the time of year that a lot paddlers start to put their boats away for the season. But it is without a doubt my favorite time to paddle a kayak. In part because there are fewer people on the water, and I can have it to myself without fears of a power boat captained by a 'had a few too many' skipper racing past me way to close for comfort and much faster than necessary. The people on the water are what I like to call 'professionals', some others may call us 'die hards'. The people that venture out onto the water when the weather turns colder have probably put a bit more time and thought into what they are wearing, as well as what they will be doing. There is a bigger level of commitment when the water temperature drops. If you are paddling and have a bad day and the water temperature is 80º you really don't have much to worry about. But if the water temperature is 50º or even 40º you are in a completely different situation. Those of you paddling in more northern climates know what I am talking about. There are two different temperatures that we need to look at when we plan what we are going to wear. The air temperature, and the water temperature. We need to meet a happy medium somewhere in between the two. If for example you have a 70º air temperature and a 48º water temperature - common in the summer in Alaska - and you are dressed for the water temperature you will be sweating in the cockpit, but if you are dressed for the air temp, and end up in the water you are going to have a very bad day. I have two different types of outerwear systems that I use for paddling, and two different types of next to skin layers that I use under the outerwear systems. The temperatures listed below are examples to explain the way I think when I plan for cold air/water paddles. Nothing is written in stone. If you are active in the outdoors, you should have a lot of what I mention here already. Next to skin: lightweight synthetic long underwear bottom, and either a lightweight synthetic long underwear top or a quick dry long sleeve shirt. Outerwear: Waterproof Breathable kayaking anorak with gaskets at the wrists, and a rand at the waist. WPB pants with gaskets at the ankles and a rand at the waist. Small neoprene booties with nothing under them. The waterproof layers on the outside are going to trap a lot of heat, so a thin layer underneath is all that is needed to keep me warm. All the options for the base layers will quickly wick moisture away from my skin to help keep me dry. You may get a little moisture inside the clothes - you may be a little wet - but that's okay, because the synthetics will insulate you when wet, and the WPB layers will help keep you warm. The booties are going to fill with water when you get in and out of your kayak, but they work like a wetsuit. Your body will warm the water, thereby keeping you warm. Outerwear is the same as above, it's the base layers I am going to change. Midweight synthetic long underwear, top and bottom. You just need a little more insulation to keep the warmth up. Some people go the wetsuit route, but I really don't like it. It doesn't really perform that well when you are dry - as it is designed to warm a thin layer of water next to your skin. Drysuit. That simple. Can you use a dry top and pants like listed above? Sure, just bump up the base layers to heavyweight/expedition weight - but be careful, you don't want to end up in the water. With a drysuit I actually use a midweight baselayer as well, sometimes even a lightweight because it traps so much body heat. My drysuit has thin booties that I put my neoprene booties over in part to protect the drysuit, but mainly because I like the contact I get with my foot pegs. For a very long time I scoffed at the drysuit as extravagant and unnecessary. I really purchased it because of the little booties I wear. I love the feel they offer, the contact with the kayak. I tried many ways to make them work through the winter, and I couldn't pull it off. That combined with a constantly wet bottom, spurred me to make the investment. It paid for itself almost immediately by extending my paddling season right into brutal winter - if the water isn't frozen I can still paddle. It's 34º and snowing? Guess what, I am still going paddling. I primarily am talking about dressing for immersion, meaning you are planning on getting wet. All of these systems will work when your wet, and still keep you warm. But can you do this another way effectively. Why cant you replace the WPB paddling jacket and pants with regular hard shell outerwear, and replace the neoprene booties with high rubber boots -an Alaskan staple. You can, as long as you don't top your boots getting into our kayak, or roll your kayak once you are paddling you will be fine. BUT, if you do wet exit you have to get ashore and get into dry clothes. It is important to keep a couple of things in mind. There is nothing wrong with being wet, as long as you are warm and wet. There is also nothing wrong with being a little cold, as long as you are dry and cold. But be very wary of being cold and wet. Cold and wet will kill you. When expedition paddling it is good to have paddling clothes - clothes that will be damp either from water or sweat - and land clothes - clothes that will be warm and dry. I start all my trips with clothes in two twenty liter dry bags of different colors. One is paddling clothes, and one is land clothes. Eventually I start to think of the two bags differently. Paddling clothes becomes wet clothes. And land clothes become dry clothes. On a long trip something will usually get inadvertently wet. a pair of socks, a T shirt. Once it's wet, it goes in the paddling/wet clothes dry bag. It only takes a little planning to paddle warm and safe in the winter. If done well, you can paddle all year. I get a surprising number of hits from people doing google searches for the low and high brace turn. There seems to be a great deal of interest in this stroke, which while fun, really isn't that useful - at least compared to strokes like the forward and the sweep. Recently over at kayak yak there was a post with video showing the talented teachers of body boat blade doing the low brace turn - they also showed an edging video that I have commented on in the past - But they do the Low brace turn differently than I do, so I did some research. My go to book for kayak information is Gordon Brown's 'Sea Kayak: A Manual for intermediate and Advanced Kayakers'. In Gordon's book he talks about the Low brace turn, and he does it the way I do - or probably more accurately, I do it the way he does. My other go to book is 'Sea kayaking Illustrated' which makes no mention of the stroke whatsoever. The body boat and blade folks teach a much more passive version of the stroke than the way I perform it. They talk about using the blade for psychological support, and allowing the blade to gently slice over the water, allowing a more confident edge turn. Whereas I teach a much more aggressive stroke with the blade biting the water at a much higher angle. My method turns the kayak because of the blade interaction with the water, and the BBB version is supporting the kayak while it turns - the paddle isn't initiating the turn, just supporting it. I like to think of the two versions of this stroke as a passive version, and an active version. I don't think one is right or wrong, but they are different, and I think you should take the time to play with both and see which works better for you, which is what I did earlier this week. Below is video of both versions. First a left then right 'passive' low brace. Followed by a left and right 'active' high brace. They are really two very different strokes, and I feel that both are useful in very different situations. updated low and high brace turn from Paddling Otaku on Vimeo. After reading about the BCU five star training that Simon Willis did, I couldn't help but give a couple of the things he mentioned a try. In particular the balance drill that he had to do. I will confess of the three things I was interested in trying, I only tried two of them. I was not able to stand up in the cockpit of my kayak. I am sure with practice I will be able to accomplish it, but on this particular day I didn't have it in me. I was successful at sitting on the back deck of my kayak, and turning 360º and then getting back into my kayak, though I will say it took me 2 minutes and 24 seconds. I envisioned it being much easier. I am curious how fast the people in his training did it? I am going to work on being able to do it faster. The third balance drill that he mentioned was this. Also sitting on the back deck, and rolling the kayak 360º under you. So you are sitting on the top, then the side, then the bottom, then the other side, then the top. I didn't even try this, as I wasn't sure what to do with my paddle. Perhaps Simon can offer some guidance. I should point out that I am very interested in doing a BCU assessment and I am only a few hours from a highly skilled east coast BCU five star instructor, but I just have had an opportunity to make it happen. Some day. I shot video of the drill, but sped it up 500% so it isn't quite so painful to watch. balance drill from Paddling Otaku on Vimeo. If you are a rock climber, the question you get asked is, "How do you get the rope up there". If you are a long distance paddler the question you get asked is "How do you get all that stuff into a kayak". I think it is one of the easier things to do. Small bags are easier to pack than big ones, but as I have said before I am organizationally challenged. So I tend use 20 liter, 10 liter and a single 5 liter. I am a big fan of dry bags, but for my kitchen bag I use a small duffel with a heavy duty plastic bag inside of it. I find it easier to root around for the things I am looking for. If you may need it during your paddle, it goes in the cockpit or directly under a hatch opening. Keep heavy things - water - centered. In general try and balance the load inside the boat. Fill in the gaps. Don't give away space by not using it. watch what your doing, and don't leave gaps. Which means, a lot of the time, the most important thing to pay attention to is the bow and stern. Fill in those pointy gaps. I am continually toying with buying a tapered dry bag that fits my bow or stern, but I haven't made that leap yet. Some people will say that you can trim the boat for particular situations by adjusting where weight in the boat is the heaviest. For instance, adding more weight in the bow paddling into a cornering wind, so the bow locks into the water and tracks better. I don't like this idea, as situations change, and it doesn't make sense to then repack your kayak. Below I have two videos. A straight 'this is packing a kayak' and an uncut - but sped up - packing the boat. In total it took me a little over ten minutes to pack my kayak. I think in general it takes people longer than that, but I have a fairly solid system. As I have said continually, practice makes everything easier. I like to pack a kayak before a trip, just to make sure that it all fits. Packing from Paddling Otaku on Vimeo. packfast from Paddling Otaku on Vimeo. - Am going to cross the Pacific on a wooden raft to support a theory that the South Sea Islands were peopled from Peru. Will you come? This is the message that Thor Heyerdahl sent to three people. They all said yes. This in a time before Personal Locator Beacons, GPS, Drysuits, satellites phones, and Search and rescue. THEY ALL SAID YES. This to me is amazing. Many think the hardest part of expeditioning is the act itself, and that may be the case if your climbing Everest. But for the trip I am planning for Alaska the trip itself isn't that physically demanding. The route is very protected - that's why it's called inside - and there is relative safety in the form of the Alaskan Marine Highway system. We have many opportunities to bail out in a bad situation. The difficulties are this, not necessarily in this order. Cold, Wet, Rain, Wind, Getting time off from work, and getting there. The paddle isn't that difficult, though long, and cold and wet, it is more a challenge of perseverance. The Challenge is getting the group together, and keeping them focused on the goal. And getting them to the put in. Seriously. I think the most difficult part of the trip is getting all the people, and the gear, and the kayaks, to the put in. It isn't even that expensive of a trip - unless you don't own a kayak, which two of our group don't, yet. Or at least a kayak suitable for a trip like this. - But the costs are pretty meager. The group of people who responded to my Heyerdahl like message on a whiteboard started as 9 and now is 6. How many make the actual trip only time will tell. Many things have to come together to get this group to the other side of the continent in a position to paddle for 30 or so days. I used to be an avid backpacker, but after many years I had an epiphany. After laboring all day under a 52 pound back pack, and setting up camp with no real comforts or amenities. I was faced with freeze dried dinner coming out of a package. This is no way to live. This is why I started sea kayaking. I read a magazine article by Tim Cahill. He explained that after a day of paddling in the San Juans, dinner was fresh salmon with a nice bottle of wine. My interest was immediately piqued. Cut to today. Close to two decades later I am revamping my paddling kitchen kit. I like to eat well on paddle trips, but at the same time the longer the trip the harder it is to get creative, because of the constraints of space and time. But in November the Alaska crew is doing a paddle together. Only a few days, and as some wont have their kayaks that they are buying for Alaska, we needed to scale it down a little. Three days, base camped on an island. Working on skills and getting a feel for group dynamics. But I digress. The kitchen kit. In Gordon Browns video he explains that he likes smaller bags because you end up with less air in the boat, but if I have a dozen small bags I wont be able to find anything. So I use a bag for food, and a bag for cooking gear, and it is this bag of cooking gear that I am revamping. Previously I would put cooking tools into the bag, and then hunt and peck for what I was looking for, but I recently picked up this. It is designed for bike tools, but I am using it for kitchen tools. It packs pretty flat, and will make finding the appropriate tool that much easier. I am waiting for a small chefs knife to arrive and then the first stage will be done. I am looking forward to the November trip to get a feel for how it works. As I started planning this little 350 mile jaunt through Alaska, the first major task was route planning. Where we would actually be going. I have a few good books, and a few maps, but I did a lot of the early planning with Google Earth. I am a huge fan of google earth, both before and after a trip. To see the route, look at possible campsites - sort of - and generally get a feel for where we are going, and what is going to need to happen. It gives a wonderful birds eye view of the route. You can see the major crossings, and where the walls squeeze in. But of course, I need to bring charts - and maps, but that's another post - with me. Some quick research showed me that the route would cover three NOAA Charts. They were 17300, 17360 and 17420. The NOAA makes them available for download in high resolution. They also offer something perfect for kayakers. Booklet charts. Again, they are free charts that are suitable for download and printing, but they are cut into much smaller sections. They print at 8.5 by 11, so they are suitable for a regular printer and fit in traditional binders. I downloaded the full size charts, and figured for route planning I would have them printed. At this stage it is better to see the whole route spread out before you. I downloaded them, and brought then into photoshop, aligning the images into one master map. After cropping and aligning it measured 40 x 48 covering the whole route. I figured I would print it out someplace commercially but after looking into it I found that it would be as expensive as buying the full size waterproof NOAA charts. At the time I had a trip home planned, and remembered that downtown Manhattan there is an amazing place called New York Nautical. I had been there once, but had never purchased anything and I decided that this would be the perfect thing. The day that I decided to make the trip an old friend and I had planned on going into Manhattan to a favorite place to relax, and before hand we would stop at New York Nautical. It is a fairly non-descript place, on a side street way down town. Upon entering it was a small space with large chart tables in the center, with what seems like hundreds of flat, open drawers holding charts by the thousands. The walls were lined with cases displaying all sorts of navigational tools, and aids. Brass compasses, Dividers. Bells, lights. Two gentleman were sitting at desks, one on the phone, the other stood and asked if he could help us. I mentioned that I was looking for three NOAA charts of Alaska. I gave him the numbers, and he started looking. He mentioned in passing that 'NOAA has had us shredding charts lately - so I don't know if I will have them'. His co-worker, still on the phone pointed to a different set of drawers, indicating they would be there. In no time all three had been found and placed on the large plotting tables. I slid my hands across the coast of southern Alaska and he handed me a long thick dowel to hold them open. He said 'take your time.' and walked away. It occurred to me that people must come here not sure of what charts they need, and peruse several before figuring out exactly which ones they require. I didn't give him time to sit down, and told him that these were the ones I needed, and I would take all three. He took out an old receipt pad and started writing a receipt for me. 'Vessel name' he asked? 'It's a kayak', I replied. 'Well give me a name or I have to charge you sales tax.' Not too sure of how having a vessel name saved me sales tax - I am sure it is some business incentive from 1840 or something like that - I told him sailing vessel Annabel lee, and he wrote it down and handed me the receipt with the total. I paid him and we were on our way. As we walked out onto the sidewalk in lower Manhattan I remembered something I taught my nephew a long time ago. He was probably only four or five at the time, now an adult, But I taught him a very important saying. 'Every adventure starts with a map'. And here I was with three charts of Southern Alaska. It was a start. And let me tell you, when the charts are spread out on the floor they take up quite a bit of space. In fact it is fairly daunting. On September 11th 2001, I was living in Lower Manhattan, the west village to be precise, just north of Houston street. As the crow flies I lived exactly 1.25 miles from the World Trade Center. The thing that most people don't realize about that fateful day - and you wouldn't realize unless you lived there - was how beautiful that morning was. Early September in NY can be glorious and it was. The sky was an unbelievable blue. The air was crisp, and clear, and had just a bit of a cold snap to it. Just cool enough to need a light jacket but you could sense that winter wasn't too far off. At 8:46 am when the first plane struck the North Tower, I was driving in the Holland tunnel to New Jersey. The Photo Studio I managed had relocated from Manhattans Union Square area, and I was making a reverse commute. When everyone was coming into NY, I was going out. the impact was initially reported on the radio as a small plane. Then shortly later corrected to a full size airliner. I looked in my rear view mirror and could see the North tower burning. A friend and co-worker was in my old beaten up truck with me, and we decided to continue on to the studio. Shortly after that the second plane hit the south tower. Life in lower Manhattan would never be the same. I tell you this story because it was that day, sitting in my office at the photo studio, watching the news, and trying to get into contact with my family, that I pulled out a map of Alaska and thought of being some place beautiful, and peaceful. When times are bad for me I retreat to the wilderness. I had been to Alaska in 2000 and it was still fresh in my mind. I had paddled Prince William Sound for the first time that year, and it would start an obsession that continues to this day. Two years ago I got close to finding someone to do the trip with me. But too many things got in the way. I work for a major outdoor retailer (MOR) and we have a dry erase board for people looking for something fun to do. You can write, 'going climbing Thursday, who wants to go?' Finally, about four months ago, I looked at that board and wrote 'Paddling the inside passage, who wants to go?' I got tired of making her wait. A surprising number of people let me know that they were interested. People with all sorts of skill levels. In the next eleven months I am going to journal the process, the planning, and the trip. There will be pictures, and video. There will be a trip to Alaska's Inside Passage. Last night as I was watching my Sensei do Kata - and explaining why it was the single most important aspect of Karate. I realized how unskilled I was. The perfection of his movement. The minimal effort required to get the maximum effect. The combination of grace and power. At first it was depressing - how far I had to go. But then I realized if I had not already come a very long way, I wouldn't be able to see in him what I was doing wrong. This is how I feel when I watch Gordon Brown Kayak. Roughly six months ago I stepped out of the shadows and I started the process for putting what I teach on this blog for all to read. Seventy-two posts later I am about where I want to be, At roughly thirty five thousand words it is a bit shorter than I planned but so far I am happy with the results. I am going to take some time, and reorganize what I have. Change orders around. Flesh out some more Ideas. I will still be posting, but the age of hard skill instruction has - mostly - come to an end. I will add, and tweak things in the future, and as I mentioned previously I am going to transition the blog into a journal for a trip I am doing next summer. So if you have read this blog from beginning to end, and it has helped you, then I have succeeded in terms of my goal. This is but the first step on a longer journey. A long time ago I was introduced by my Sensei to the phrase, 'student of serious kayaking'. It is a phrase I like very much. I consider myself a teacher, but the reason I teach is that it lets me learn. I learned a tremendous amount about kayaking in the last six months. I plan on learning a lot more. For you, my advice is simple. Paddle. Spend time in your kayak, and get to know it. Be pushing your skills. Paddle in different environments. Paddle in the cold, and the wet. The rough and the calm. Paddle with your kayak empty, and full. simply paddle. 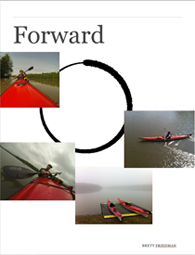 Only through consistent practice can you continue to grow as a kayaker. Work to the point that kayaking can become a meditation. 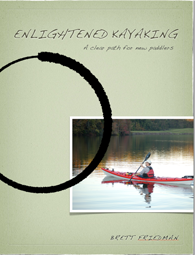 The forward stroke is the ultimate meditation in a kayak. You must be aware of it, yet unaware. You have to learn how to do it, so you can forget how to do it, and thereby do it naturally. That is the skill. That is the art. If you came to this blog with previous kayaking experience, I hope you followed my advice, and emptied your cup. If you did, I am sure I had something to fill it with in return. This phase of the journey ends, and another begins. But here is an offer I have for you. If you have questions that I didn't answer, by all means send me an email. If you have questions about form, and how yours is, send me a link to a video, and I will review it, and get back to you. Video is a wonderful tool to see what you are really doing. I saw it myself when editing the video for this blog, I had to shoot and reshoot things because I didn't like the way I was doing particular things. Video is pretty easy to do these days, please use that powerful tool. Another important factor when paddling is weather. Understanding what is happening now, and what may happen in the near future. Being in small craft, sitting on the water line, it is very important that we think about weather a great deal. Weather, tides, and currents are a big part of the decision making process. We need to be thinking about all three. Should we be on the water or off? Can we reach a planned destination or should we plan an alternate? 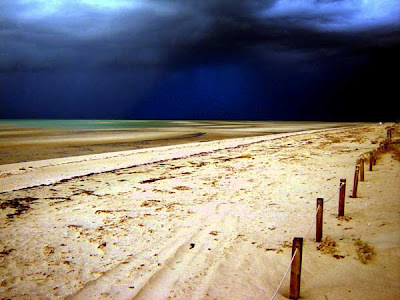 Weather, like tides, can be very complicated. But for the most part we can simplify to get the information we need to help us make the important decisions. Whenever I paddle I wear a watch with a barometer. I helps me keep track of the changes in Barometric pressure in my immediate vicinity. It is the changes over time that are important. I also carry a VHF radio, with a weather band. This way I can listen to the weather report for the surrounding weather stations to know what is happening in all directions. I use the information from the barometer, and the vhf and my senses, to form a picture if what is happening, and what may happen in the immediate future. While weather forecasts online, and on television may go seven to ten days into the future, I really don't believe a weather forecast more than three days out. There are too many variables that can effect what has been forecasted. In general terms West to East, because of the jet stream. If you want to know what tomorrows weather is going to be, look a couple of hundred miles to the west. In the northern hemisphere HIGH pressure systems bring cool, dry air. They flow in a clockwise direction. Air flows away from the high pressure center, and the coriolis effect makes it turn in a clockwise direction. Also in the northern hemisphere LOW pressure systems bring warm, moist air. They flow in a counter clockwise direction. The best example of an extreme low pressure system is a hurricane. Where winds fight to get to the center of an extreme low pressure center, and for a circle, or eyewall. Air, and the associated 'weather' flows from areas of high pressure to low pressure. High pressure is 'good' weather. Low pressure is 'bad' weather. With this little bit of knowledge we can do basic weather prediction. Clear skies are the work of high pressure systems. I know if my barometer is falling rapidly, then bad weather will follow, as the falling pressure means any moist air will 'fall' into the center of the low. This moving air, is going to make wind, and then potentially rain. High pressure is going to push the 'lows' away, and with them take all the moist air. But that high is going to flow east - due to the jet stream - and will slowly move away. When bad weather gets pushed away by a high, there is usually high winds, as the high gets pushed away, air has to fill the void. So I am watching my barometer for an overview of what is happening to the air pressure around me. At night, and in the morning I am listening to the weather report to get an idea what is happening to the west. I am also listening for the wind report. What kinds of wind will I be facing tomorrow when I try to paddle to my next destination. It is wind, not rain, that is our limiting factor. With wind comes waves, and those two things are going to keep us from making good progress, as well as making it harder to get off the water should we have a problem. I will paddle all day long in the rain, but wind, wind worries me. Wind will slow our progress, or make our forward progress when it comes from behind at least tricky - I think the best test for a kayak is how it paddles in a following sea. That is when kayaks get squirrely - if not down right dangerous. I don't mind waves on their own, but where waves interact with land is where things get dangerous, made more so by wind pushing you into land. Wind makes a good situation bad, and a bad situation worse. pay close attention to the wind. A few more elements of tides that we need to understand are that the tides don't change like a switch going on and off. They gradually change, and that change is constant. In a normal situation you have 4 tides a day, as I mentioned previously. Two highs, and two lows. If you have four tides a day, and the changes are gradual then they must be fairly even in their dispersal throughout the day. They each last approximately 6 hours - give or take. In actuality tides occur about fifty minutes later each day, (Because it takes the moon 24 hours and fifty minutes to complete a cycle around the earth) which is why our tides don't occur at the same time each day. Tidal changes during that six hours start slowly, build to maximum strength, and then start decreasing in intensity. During the middle of the cycle when the most water is moving, you get the biggest change in tide height. This varying cycle generally follows the rule of twelves. During the first and sixth hours of the cycle 1/12th of the water will move. During the second and fifth hours 2/12ths of the water will move. And during the third and fourth hours of the cycle - the middle two hours - 3/12ths of the water will move. The important aspect of this is that in the middle of the cycle you have the most movement of water, and at the ends of the cycle the least. In fact at the change of that cycle when we end the 6th hour of the high tide and start the 1st hour of the low tide, in that change over, we are in a period called 'slack tide', this is when the least water is moving. So there are times when a lot of water is moving, and times when very little water is moving. It is important to know when those times are because while the water is moving vertically, it flows to new areas, as water always seeks its own level. When water flows through a narrow area - a constriction - it goes faster. Like putting your thumb over the end of a hose. So when you create your float plan, look at the possibilities of water being constricted and a tidal current being created. If there is an area of constriction water will be flowing very fast through that constriction at the middle of the tide. Whereas very little water will be flowing there at slack tide. Plan your paddle accordingly. For instance, if I am paddling out and back to the same point I want to paddle against the tide on the way out, and back with the tide - so when I am tired I am not also fighting the tide. The same goes for the wind. I would rather start my paddle heading into the wind, so I get a push coming back. Or perhaps I have to transit an area of high tidal current, but its going to take me four hours to get to it. That means I need to leave the safety four hours before the slack tide, so I reach the area of high tidal current when the least amount of water is flowing through it. An area like this is not very far from where I learned to paddle. It's an area called 'Hell Gate' and it is in New York State. Three bodies of water converge on a very small opening. The Long Island Sound enters the East river along side Manhattan Island. At the north end of Manhattan island The Hudson river joins the East river. The sound, the East river, and the Hudson river are all tidally influenced. Meaning the rivers reverse there flow when the tide is coming in - or flooding - and then the rivers flow takes over when the tide is receding - or ebbing. (In actuality the East river isn't a river, it is an inlet from New York Harbor, a large bay, and finally the Atlantic ocean. So when the tide is flooding, water comes from the Long Island sound and floods into the east river. At the same time the Water is flooding the east river and Hudson river. This junction can become very turbulent with a fast moving tidal current. Other things effect tides and tidal currents as well. The shape of the land surrounding the water, and the shape of the land under the water all will effect the tide, and tidal currents. It's good to understand tides and tidal currents, but the best way to know how tides effect a certain area of coastline is to get knowledge from someone who paddles there all the time. Local knowledge is key. Seek out paddlers who know the area, and can give you information that can only be learned by putting a kayak in the water.